Free download MotoGP 13 game. It is developed and published by Milestone in June 2013. MotoGP 13 is a motorcycle racing game for PC. It is very nice game with high definition graphics. 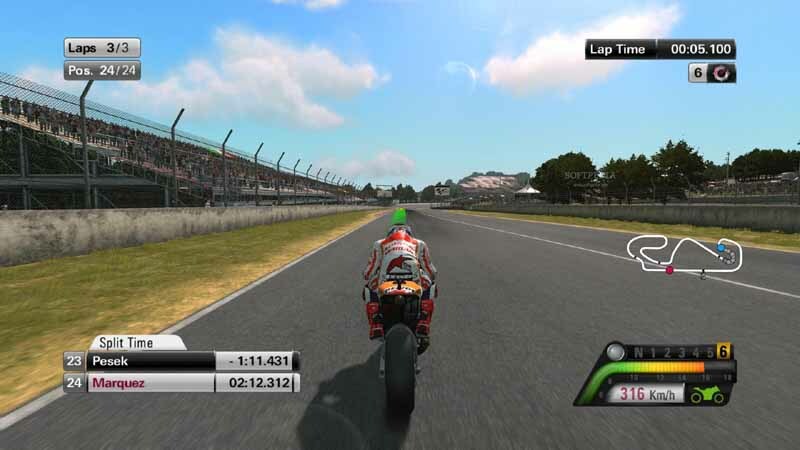 This is the better version of MotoGP as compared to MotoGP 08 released in 2008. You can even enjoy the game in this demo version. MotoGP 13 demo will allow you to play full single race with 24 opponents. The demo setup of MotoGP 13 is about 1.6 GB. You can download this setup from the download link given below. This is zip (compressed) file. You can extract it before run the setup or can directly run the setup from the zip file. The install shield is very similar to the JetAudio. It is very simple to install this demo. Just follow the instructions and keep clicking on Next button. Remember that, you have to accept the license agreement at a step to continue the installation. After completing the installation, it will ask you to install DirectX 9. If you do not have then install it. If you have any higher DirectX then you can skip this. It will add shortcut on your desktop automatically when you check the box to add it. The graphics of the game are outclass as well as the gameplay is very good. You can play only Grand Prix mode as it is only enabled option in this demo version. Then you can select the players. The demo version of MotoGP 13 has only two players enabled that are Valentino Rossi and Marc Marquez. The next step is choosing map. You can select only Catalunya to play the game.